Bridgestone, the Official Tyre Supplier to MotoGP since 2009, has agreed a one-year extension to its current tyre supply contract with series promoters Dorna to supply tyres for the 2015 season, after which the Japanese tyre manufacturer will withdraw from the role of Official Tyre Supplier. Bridgestone entered the MotoGP World Championship at the dawn of the modern four-stroke era in 2002, with the objective of establishing itself as the world leader in tyre development. The Japanese company’s rise to glory was characterised with quick-found success in the championship with a first pole position in its maiden year, a first podium in 2003 and a first race victory at the Brazilian Grand Prix in 2004. 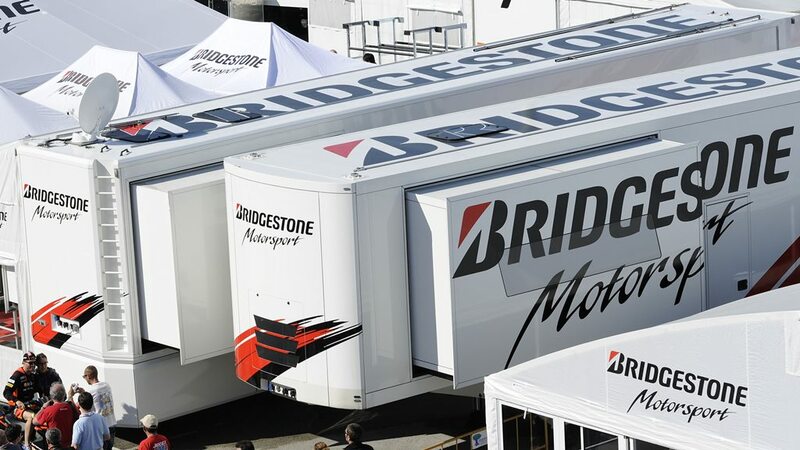 From this point onward, Bridgestone’s success rapidly gained momentum with multiple victories in the 2005 and 2006 seasons, culminating in a first MotoGP championship title with Ducati’s Casey Stoner in 2007. A second MotoGP championship followed in 2008 with Yamaha’s Valentino Rossi, resulting in Bridgestone receiving the honour of being named the first ever Official Tyre Supplier to the series in 2009, thus achieving its objective of distinguishing itself as the world’s premier motorcycle tyre manufacturer. A long and successful involvement in MotoGP, supported by significant investment, has given Bridgestone an edge over the competition through the transition of race-proven technologies from the circuit to the road. Motorcycle riders around the globe will benefit from Bridgestone’s long and successful involvement in MotoGP for many years to come. Bridgestone expresses its deepest gratitude to the riders, teams, FIM, IRTA and Dorna, as well as motorsports fans around the world, for their support over the years. Although it is planning to exit the MotoGP World Championship at the end of the 2015 season, Bridgestone will continue to do its best in promoting motorsport as part of its portfolio of activities.